New You 2018 — Geoff Howell Studio Inc.
It’s a new year, and a new you! 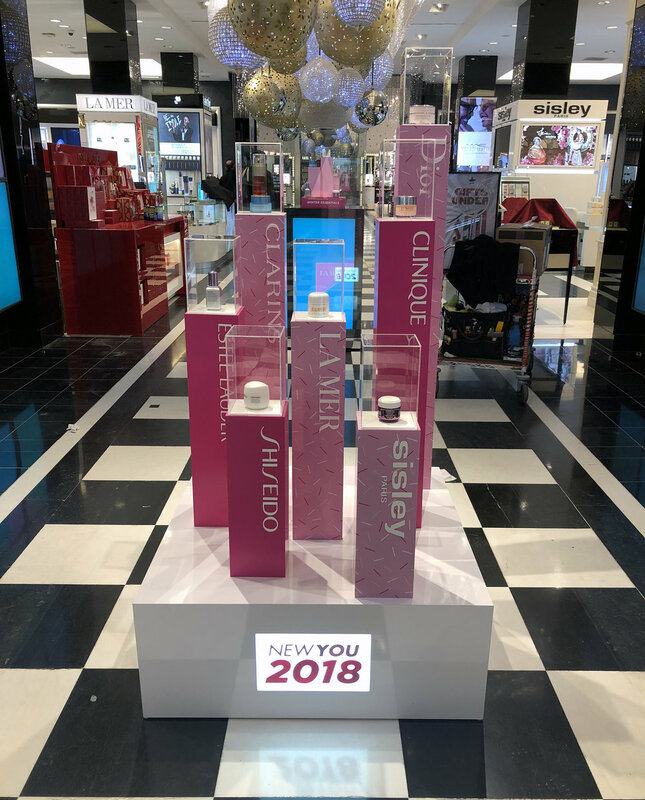 Crisp, clean and PINK, we’ve flawlessly presented a variety of beauty brands in an ‘art gallery-like’ way at the flagship Bloomingdale’s in Manhattan with products, sometimes as enlarged factice of the original, displayed on plinths and risers, underneath plexi vitrines. Newer:Mega FloraOlder:Take A Bow, a Huge Pink Bow.